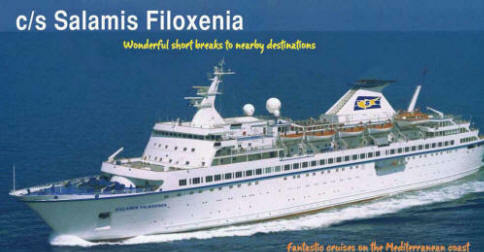 The cruise ship c/s Salamis Filoxenia has nine passenger decks, has a gross tonnage of 15,400 tons, length 157 and width 22 metres. 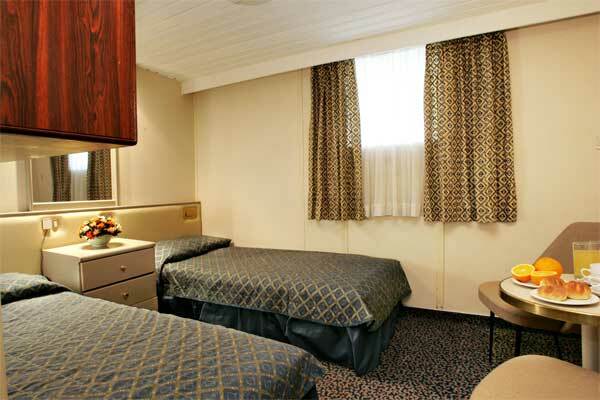 The cruise ship can accommodate up to 800 passengers in comfortable cabins of different categories and luxurious suites, all equipped with private facilities and LCD televisions. Please note that all cabins are above the sea level. The public areas include five spacious lounges and bars, amphitheatric cinema that can be used for seminars and lectures, swimming pools for adults and children, large casino, internet café, big duty free and gift shop, a shop with selected traditional Greek products, gym and spacious open decks. For our little friends there is a kids club on board and our trained staff will organize kid’s activities. The C/S Salamis Filoxenia will offer new itineraries as well as classic destinations around the coasts of the Mediterranean. The 2019 Itinerary is here. During our cruises the passengers will have the opportunity to use the ‘Cashless’ System on board. 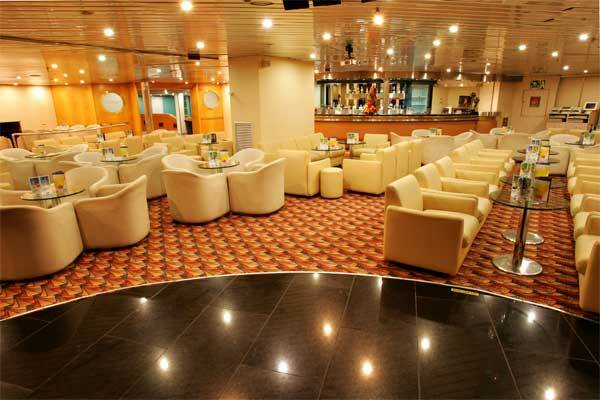 The embarkation card will also work as a credit card, with which the passengers will be able to pay at the ship’s bars, excluding their buys at the duty free and gifts shop and the casino. During embarkation the passengers will be asked to provide a valid credit card (electron and direct cards excluded) or deposit cash in order to open an account in their name for each family. For each transaction on board the passengers will sign the relevant receipt and their account will be debited accordingly. In case they have deposited cash and the transactions’ amount exceeds the deposited amount, the passengers will be asked to deposit an additional amount. At the end of the cruise any remaining amount will be returned. Passengers that do not wish to make use of the Cashless System will be able to pay at the bars for each of their transaction in cash. All accommodation on board the Salamis Filoxenia is of an exceptionally high standard, offering Executive and Junior suites with complimentary Mini-Bar, TV and Video, spacious and comfortable outside cabins. 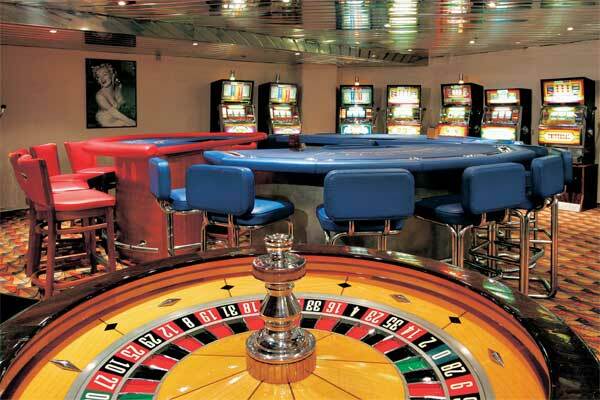 All accommodation is fully air-conditioned and has private facilities. Lifts are also available on board. This image may take a minute to open. Copyright © 1997- 2019. All rights reserved.